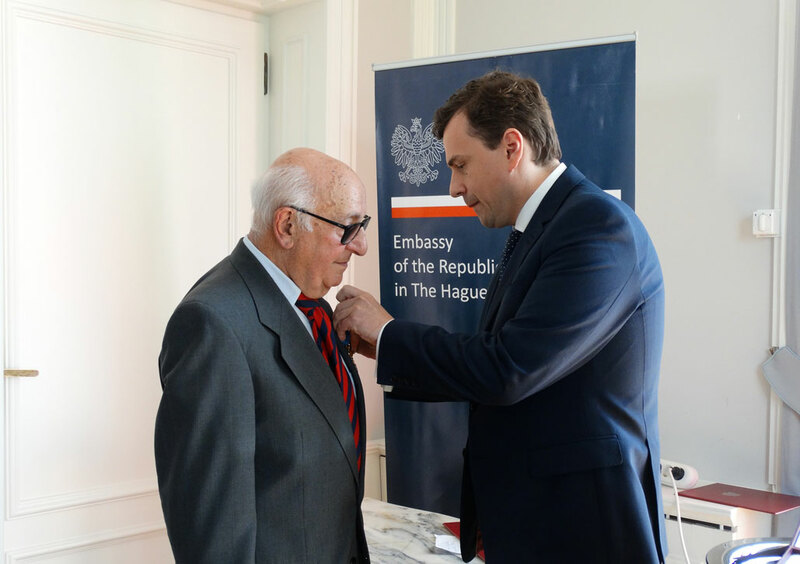 The President of the Mechanism for International Criminal Tribunals (MICT or Mechanism), Judge Theodor Meron, was awarded the Officer’s Cross of the Order of Merit of the Republic of Poland at a ceremony held today at the Polish embassy in The Hague. Following the decorations ceremony, President Meron delivered remarks on “The Future of International Criminal Justice”, addressing the challenges faced by international criminal justice today and discussing some of the ways to move forward in the global effort towards greater accountability. “Now is the time to take concrete steps to advance the cause of accountability at the national, regional, and international levels and in a wide variety of fora. It is by doing so that we will, I believe, narrow the gap between the important normative and rhetorical advances made in recent years, on the one hand, and our actual results in the fight to end impunity, on the other”, President Meron concluded. The Order of the Merit is a distinction conferred on foreigners and Polish citizens permanently living abroad who have made outstanding contributions to international cooperation and to bonds between the Republic of Poland and other nations and countries. Appointments to the Order of Merit are made by the President of the Republic of Poland at his own initiative or upon the recommendation of the Prime Minister or the Minister of Foreign Affairs.